Zayn Malik reveals where he took Gigi Hadid on their first date | HELLO! Zayn Malik and Gigi Hadid have been dating for the past year, but we never really knew how they got together – until now. Opening up about their relationship in an interview with ES magazine, Zayn revealed he and Gigi met at a Victoria's Secret party and he asked her out after recognising her "from her picture". So where do you take a supermodel on a first date? Zayn opted for dinner at The Bowery Hotel's restaurant, Gemma, in New York. "It were really nice," Zayn said. "She's a very intelligent woman. She knows how to carry herself. She's quite classy and that. She's not, like, arrogant in any way, she's confident. She carries it well. She's cool." Things have moved fast for the couple since their first date, and they now unofficially live together in Los Angeles and New York. "We haven't officially swapped keys or anything yet, we live together wherever we are," Zayn said. 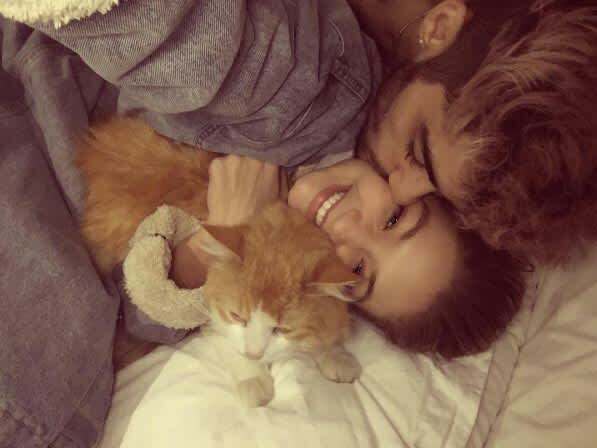 And the high profile couple have a very laidback home life according to Zayn, who says he often cooks for Gigi, making her "steak and potato pie, Sunday roast dinner and Yorkshire pudding. Yeah, she likes a good Yorkshire pudding." The couple sing together too, with Zayn giving Gigi's vocal abilities his seal of approval: "She's got a nice voice, I like her voice." Now that is a duet we would love to hear! Aside from talking about Gigi, Zayn also opened up about how much happier he feels since making the decision to leave One Direction in 2015. "Before, because I was told what to do and told where to go, I didn't feel like the reward was mine to take home. Do you know what I'm saying?" Zayn said. "Whereas this, I'm in control of. It's crazy, but it's mine, so it is rewarding and it's worth it now."